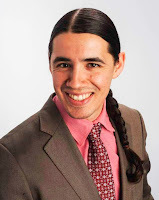 "Choice" Is An Illusion: Canada: Liberal MP Robert-Falcon Ouellette is Voting "NO"
“I think we need to take more time, especially in light of Attawapiskat,” said Ouellette. Attawapiskat, a Cree community in Ontario’s James Bay region, recently declared a state of emergency after suffering through 11 suicide attempts in a 24-hour span. “I think there are communities that have this issue and if you allow, all of a sudden, this to occur…it might be very difficult,” he said. “If grandma, grandfather decides they had enough in life…if they weren’t able to carry on, why should I carry on? If they weren’t strong enough, why should I be strong enough?